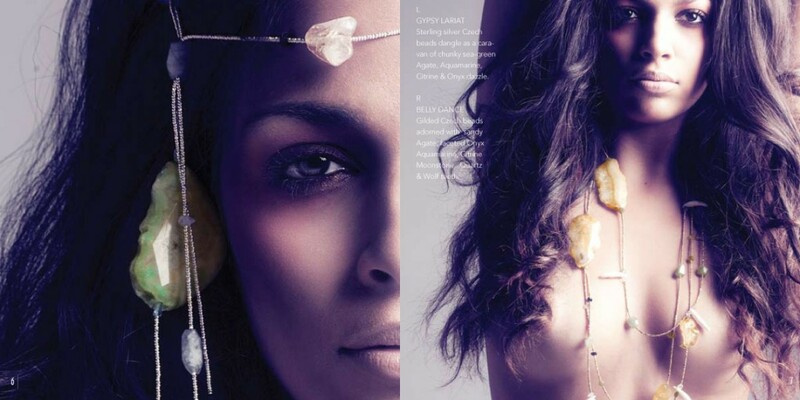 Ashay produced the look book for Adha Zelma jewelry’s new line “5.” These celebrity designers created quite a spark in Fall Fashion Week 2010 at NOLCHA. Ashay was along for the ride; we art directed the shoot and rocked the lookbook. Bold statement pieces encircle you. A desert song of chunky nuggets, facets, plumes, ivories, water geodes, sterling silver and 24-karat yellow gold-plated Czech beads.